The facelifted Maruti Suzuki Ciaz has gotten off to a flying start. Maruti shipped out 7,002 units of the Ciaz to dealers across India this month. This is a very impressive number considering the fact that Kerala – a key market for the brand – was off limits due to floods. Hyundai put out 3,361 units of the Verna while Honda managed only 2,822 units of the City in August 2018. So, the Ciaz has single-handedly outsold the Verna and City put together. This may be an aberration that lasts only one month though because Maruti virtually stopped Ciaz dispatches last month. So, the big rise in dispatches are due to Maruti pushing out the facelifted model in a big way. The next 2-3 months of dispatch data will give us a clearer picture of how the facelifted Ciaz is doing. Meanwhile, the Toyota Yaris – a petrol-only car in a segment where all the top-sellers offer diesels – finished in fourth, with just 1,047 units dispatched last month. Premium pricing and a petrol-only approach may be limiting Yaris’ sales as the car continues to be stuck at sub-2,000 levels for the last couple of months after having a promising start. For now, the Maruti Ciaz is the king of the C-Segment sedan space – a place it has reclaimed after months of being in second/third place on the sales charts. 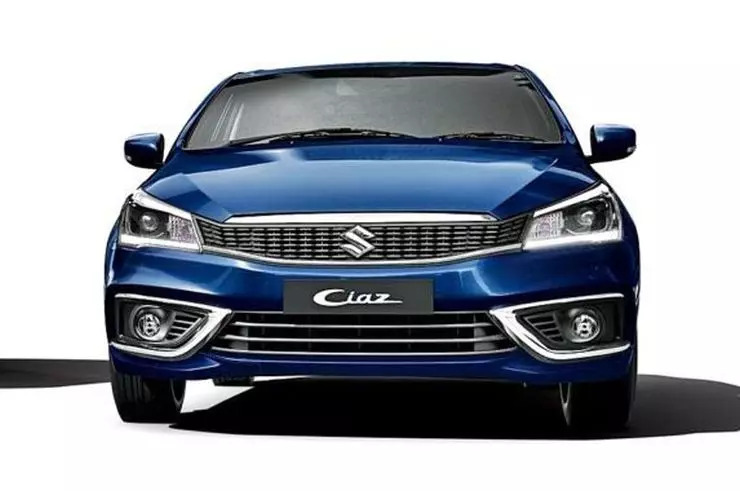 The facelifted Maruti Ciaz has a good chance of doing very well as it’s priced very well, offers significant mechanical changes and is also the newest car in its segment. The car is available with petrol and diesel engine options, with the petrol engine also getting an automatic gearbox option. More features have been added and the new car is also the first hybrid in its segment thanks to the mild hybrid system on both the petrol and diesel engines. The Hyundai Verna still continues to be the segment leader, in terms of the sheer number of engine and gearbox options. The Honda City’s premium positioning may be giving it a hard time in sales as the likes of the Ciaz and Verna are better value propositions. A price cut? Well, we don’t think Honda will oblige.